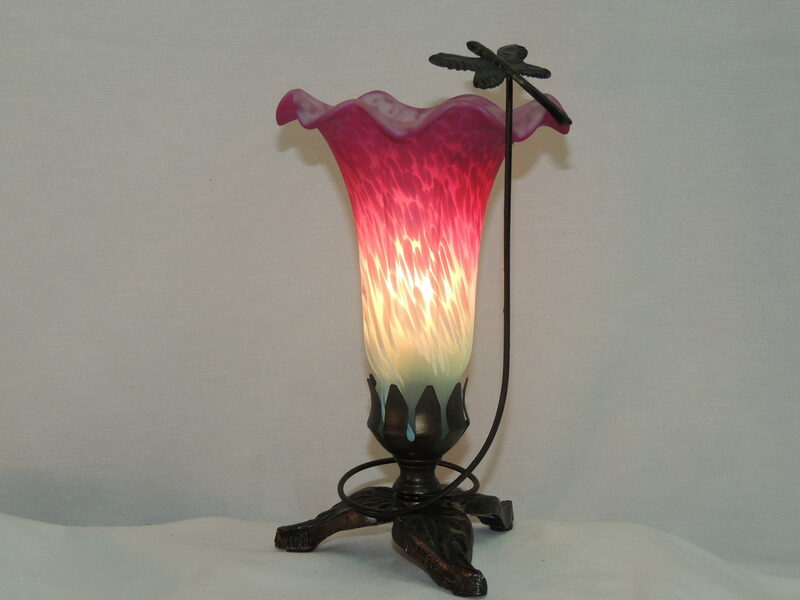 Soaring Dragonfly Lily memory lamp with choice of colors. 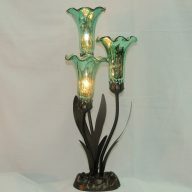 This beautiful Soaring Dragonfly Lily accent lamp has a beautiful hand blown and hand painted lily shade. Available in your choice of colors and finish. 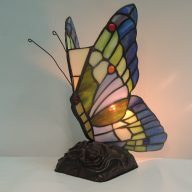 The soaring dragonfly is finely detailed and the metal base is hand finished in brushed dark and light bronze. Three legs with a leaf design support the lamp. 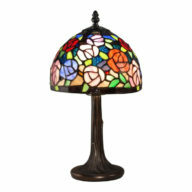 The dragonfly on this gift of light represents renewal, positive forces, and power of life. It is associated with good luck, prosperity, swiftness, strength, peace, purity and harmony. This makes a fine gift in memory of a loved one or to celebrate any memorable event. This beautifully enchanting memory lamp is a wonderful option in lieu of flowers and makes a fine addition to any home decor.